In compliance with section 504 of the Rehabilitation Act of 1973, as Amended, and with the Americans with Disabilities Act of 1990 (ADA), Kalamazoo College recognizes that qualified students who have diagnosed or identified learning, physical, or emotional disabilities are entitled to the same benefits from the educational programs of the college as non-disabled students. 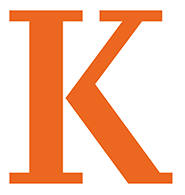 Kalamazoo College is committed to providing reasonable accommodations to qualified students with disabilities, unless that accommodation imposes undue hardship or burden or would not alleviate a direct threat to the student or others. The Associate Dean of Students and the student will work together to negotiate and ensure appropriate accommodations that will work for the student. Cost associated with diagnosis, evaluation, and testing is the responsibility of the student, except in cases of severe financial need demonstrated to, and upon recommendation of, the Associate Dean of Students. The office also makes assistance available to students experiencing short-term illness or physical injury. Deny a request for accommodations, academic adjustments, and/or auxiliary aids and services if the documentation demonstrates that the request is not warranted, or if the individual fails to provide appropriate documentation. Upon enrollment or upon receiving an assessment that verifies a disability, a student must make an appointment with the Associate Dean of Students/Disability Services Coordinator to discuss the disability and the process for receiving accommodations. It will be imperative to bring or send ahead the medical verification of the disability. You must provide a copy of the medical documentation and any recommendations about necessary accommodations that are included. If the assessment does not provide the necessary information with which to determine accommodations or if the assessment is more than three years old, the Associate Dean of Students may ask the student for additional assessment. The Associate Dean of Students/Disability Services Coordinator will review the assessment. The student and Associate Dean of Students will then enter into negotiations to determine appropriate accommodations. One should not assume that specific accommodations offered in high school would necessarily be offered by the College. The Associate Dean of Students/Disability Services Coordinator will communicate in writing to the student the approved accommodations. Each quarter, the Associate Dean of Students/Disability Services Coordinator will send a letter about the disability and accommodations to the faculty of courses in which the student is registered unless the student requests that this step not be taken. If the accommodations do not seem to be working, the student shall contact the Associate Dean of Students/Disability services Coordinator and they will work together to discover why the accommodations are not working and to develop additional or different accommodations if that becomes necessary.